Hey Folks, Buddah from www.ILoveItSpicy.com contributing a little piece for my bud Brian in relation to the fun Peppers at the Beach event we attended not long ago. Brian asked me to pick a company represented at the show and give a little feedback about them. I chose Fat Kid Sauces (FKS) because I knew them the best, and they are from Long Island where I grew up. I love getting a chance to represent my homeboy, so let us get to it. I first met John aka Huv (a nickname you will get a story back by asking him where it came from) via the Hot Sauce Blog (HSB). At one time the HSB was the one stop blog in the Chilehead scene, but with the webmaster turning to other personal matters, it soon was replaced by many other great sites such as this one. It was around that time in 2007, that Fat Kid Sauces had won their first Scovie award for their very first product, a Habanero Hot Sauce. I was new to the scene too, and the Scovie was my benchmark, so it was a sauce I wanted to try. Once I found out that Huv wasn’t too far from my Parents’ house, I decided to make an effort to meet him to get some sauce. On my next trip up, while Huv and I wanted to try to get together we weren’t sure if our schedules would work out. 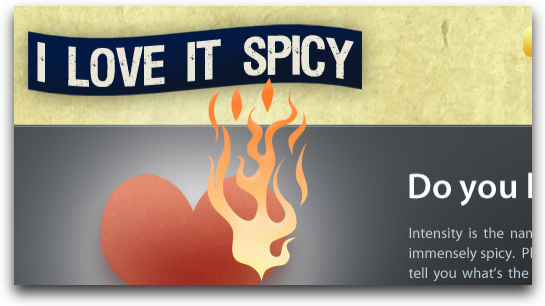 I had a hot sauce store mapped out that I was told by him sold his product. Unfortunately, they were out of business just a couple of weeks prior. We never hooked up, and I went home with no FKS. So, upon returning I made a purchase on his website. Huv, feeling my pain for having to pay shipping, hooked me up and threw in a prototype of a new mango habanero hot sauce he was working on. He asked my feedback in return, and I was happy to give it. While I enjoyed the Scovie award winning Habanero hot sauce, the new mango product didn’t hit home with me when I tried it on chicken. I just thought it was way too sweet and not a good fit on the chicken. I then had a crazy idea, that since I had just bought some fresh fruit cups at the store, maybe some pineapple would work well with it. To my surprise, it was awesome. The burn on the fruity combo was right down my taste bud flavor epicenter. The next day, I sliced up some banana, got some whipped cream, and I created a breakfast that I would do quite often to this day. On Oatmeal and ice cream, this sauce is real good, but on a banana and whip cream it is palate perfection. Later that year, Huv entered the new FKS Mango Amore into the Scovies and took home another award for his efforts in the Dessert category. It was about a year plus later that he decided to break out the big arsenal, his salsa. Looking for more feedback he sent some of his close blogging friends a sample of his two new salsas- roasted red pepper and black bean and corn. I was very happy to be on that list. When I try something, I like to eat what I perceive to be the best food and save it last, so I end in a high note. Not being a black bean fan, I decided to start there. Boy was I wrong. Not only was it good, it shattered my notion on black bean and corn salsa. It was simply the best I have ever had, and I have not had anything close since. It was something in the tomato-y goodness that brought me back to my childhood when my Grandmother was still around, cooking some great food. That tomato flavor was just like she had in her best dishes. While I also liked the roasted red pepper salsa, it didn’t sing to me like the black bean and corn did. I even got my parents hooked on the stuff. Reading the feedback from the other bloggers, I quickly became aware that I wasn’t the only person digging it. Before he could even smack a label on the jars, people were ordering more. Between work and family life he had to put FKS on the back burner for a little bit. A year plus later, we finally got to see the official Chilehead debut of the salsa at Peppers at the Beach. We did a video review at his booth for my favorite two FKS products- the black bean and corn salsa and the Mango Amore hot sauce. You can check that out here: http://iloveitspicy.com/2010/05/22/peppers-at-the-beach-review-fat-kid-sauces/. Last year, I was privileged to try another new FKS experimental salsa product. I am not allowed to divulge it just yet because the tinkering process is still on going, but I am excited by it and have high hopes for it. Fat Kid Sauces has a nice cult-like following with the chileheads, and after Peppers at the Beach it will continue to grow. If you haven’t had some, you better come get you some. 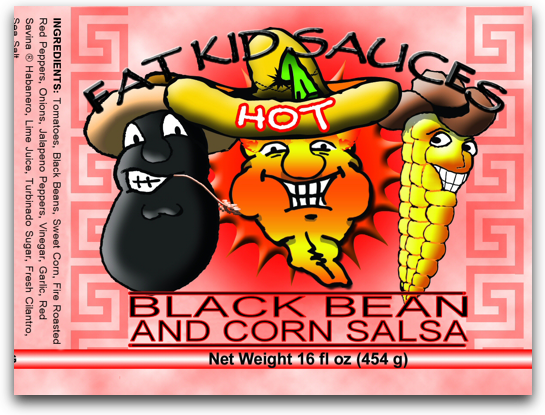 I really like the Black Bean and Corn Salsa from Fat Kid Sauces. I just don’t remember it being this hot when I tried it at Peppers at the Beach! Wow…. Thanks for the nice words buddah. I’m blushing. That secret salsa is almnost ready for another round of testing 😉 Plus FKS BBQ Rub is coming soon!